Fly fishing the River Taff, Clydach and surrounding South Wales Rivers..
New box of river nymphs complete! Been doing my best on completing this box of nymphs to get started on a smaller box ready for the future trips out! I’m always looking at new patterns and trolling through fly images on good old uncle goggle looking for new ideas most nights. There are some real awesome people out there tying and always something new to give a go! We all have our go-to nymphs and patterns that we have full faith in but we are always looking for that edge. Over the years of competing for wales in the river internationals and meeting some real awesome anglers, I’ve collected patterns from most and this is where I mix and match patterns for different rivers. Every little helps they say! This entry was posted in Fishing Tackle, Fly Tying, Fly tying boutique, funkyfly tying, get-slotted.co.uk, jig patterns, River fly fishing, River fly nymphs, River International, River Taff, Stream fly fishing, welsh river trails and tagged brown trout, fishing, Fishtec, Flies, fly images, fly patterns, fly tying, french leader, get-slotted, grayling, Grayling flies, Jig hooks, Nymphing, nymphs, south wales, south wales fly fishing, Terry Bromwell, trout, Welsh rivers international on July 31, 2018 by fishstalker666. Little rivers with little reward! I'm terry Bromwell, well known resident of the River Taff in South Wales. Im known on all the forums as 'FIshstalker', Take a look and see what I've been up too. 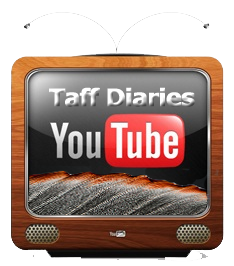 Follow me on YouTube for fly tying and method related action. Click below to go to my channel. The rants and ramblings of a old fart's return to fly fishing after a short break of 35 years. Because life on a trout stream is just better. Fly fishing Fly Tying following my experiences and hopefully sharing tips to help the progressive fly fisher and fly tyer. Fly Fishing, Fly Tying and Stocky bashing.